We recently published a white paper titled “Assessing Today’s Standards: Multi-dimensional test items,” that describes our approach to the challenges and opportunities presented by new, rigorous standards in ELA, math, and science. We’ve reconsidered item development to address both the multi-dimensionality of the standards and the needs of many stakeholders and decision makers for meaningful, timely assessment information. We recently attended the 2017 California Science Teachers Association (CSTA) conference in Sacramento. Conversations with teachers underscored the continuing need for classroom and district science resources to support the transition to NGSS*. We’re excited to announce that the Oklahoma State Department of Education (SDE) h a s awarded Measured Progress a new contract for its Oklahoma School Testing Program. The new contract provides yearly online assessments based on Oklahoma Academic Standards for grades 3 through 8 in English language arts and mathematics, and for science in grades 5 and 8. 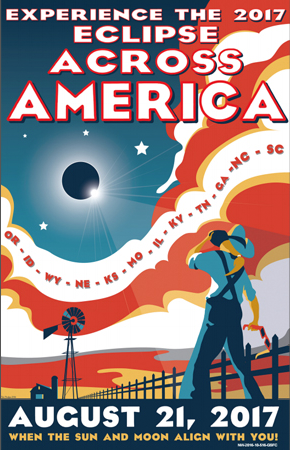 Unless you’ve been living on the moon, you’ve probably heard or read about the total solar eclipse of the sun by the moon on Monday, August 21st here in the United States. This planetary phenomenon has not been experienced here since 1979. These few minutes, where the moon perfectly aligns with the sun and blocks out light in the middle of the day, are a big deal for science. And science is a big deal for us here at Measured Progress. Fall conferences are in full swing for educators, and Measured Progress recently attended two regional science conferences: the California Science Education Conference (CSTA) in Palm Springs, and the first regional NSTA conference of 2016 in Minneapolis. It was incredibly energizing to meet so many science educators, and we came away from both conferences very impressed by the dedication of K–12 educators in the science community. Attendees described their shared mission to educate today’s students to know, think, and act like scientists and engineers, in line with Next Generation Science Standards (NGSS)*, and they offered numerous ideas about how to best fulfill that mission. How Do You Fit New NGSS-based Assessment into Current Science Curricula? Having to select new curriculum and find appropriate NGSS-aligned assessment tools to support your transition to the Next Generation Science Standards (NGSS*) can be a challenge. According to a recent article in Education Dive, the hurdle is even higher: “Teachers should be assessing whether students get the core ideas, but they also need to know whether students understand the larger framework and the ways scientists and engineers approach questions about the world.” In other words, K-12 science education today has to go beyond confirming content knowledge, to helping students make connections across science disciplines. At the same time, students are tasked to figure out how to understand natural phenomenon and create solutions to design problems. That’s a tall order, for sure.